A liburnian or liburna was a type of small galley used for raiding and patrols, particularly by the Illyrians and the Roman navy. 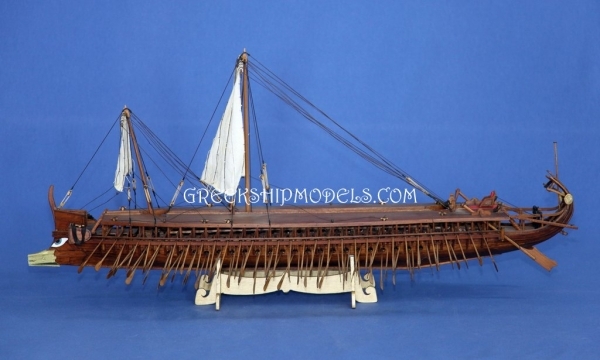 The model has been constructed under the study and plans of the University Professors Mr John Coates and Mr Morisson John and is placed in my permanent exhibition at the Maritime Museum of Litohoro. Fast, manoeuvrable, and with a bronze-sheathed ram on the prow, the trireme was the devastating warship which permitted Athens to build her maritime empire and dominate the Aegean in the 5th century BCE. 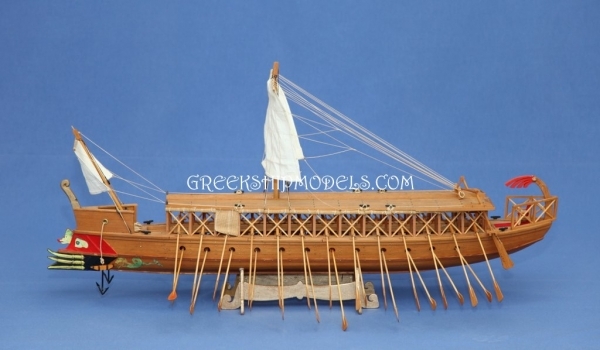 The trireme was so-called because of the arrangement of rowers in three lines down the length of each side of the ship. All models are handmade , constructed by traditional methods under scale , using authentic original materials. The size of the hull, ranges from 90 cm to 150 cm.